The Mount St. Helens area offers adventurous day trip activities during every season. Just an hour and a half drive from Vancouver USA, get your fix of unbelievable views and natural beauty. On your way up, stop at visitor centers along SR-504 to see interpretive videos and displays depicting the geological events and history of the mountain. The Johnston Ridge Observatory, located at the end of State Highway 504, provides information about the historic 1980 eruption and is open from mid-May through October. It is one of the closest viewing areas on the North side of the volcano and rangers are present to share their knowledge. Check out the annual Music on the Mountain series, which combines free summer concerts with a spectacular view of the crater. Mount St. Helens boasts more than 200 miles of trails, marked by gorgeous summer wildflowers, young forests, new lakes, and an intriguing landscape that forms the volcanic crater. 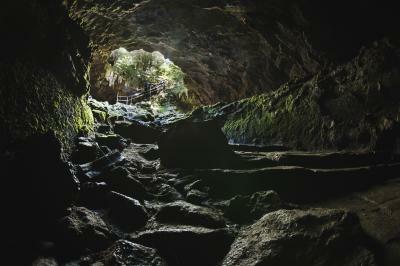 Hikes of all lengths and difficulties can be found, and even one underground at the Ape Caves (pictured). Climbing permits are required to get to the top between April 1 and October 31. If you backcountry enthusiasts are looking for an extreme challenge, try the 28-mile Loowit Trail that circumnavigates the volcano. While she&apos;s beautiful in the summer, you haven&apos;t truly met Mt. St. Helens until you see her in the winter months covered with a blanket of pure white powder. 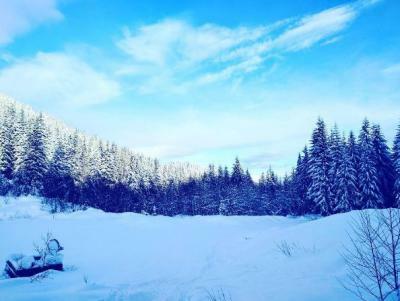 Pack a thermos of hot chocolate, purchase a Sno-Park permit, and choose a wintertime adventure: snowmobiling, snowshoeing, summiting, or cross-country skiing. Marble Mountain Sno-Park, located on the south side of the mountain is a starting point for most of the winter activities. There you will see snowmobilers heading out to the Plains of Abraham and folks strapping on snowshoes for a tranquil ramble to June Lake. Try the Sasquatch Loops on skis for a peaceful, round-trip glide through the trees. The Worm Flows Route is standard for summiting in the snowy season; self-register a climbing permit free of charge. For more information about activities and education opportunities, visit the Mount St. Helens Institute&apos;s website.